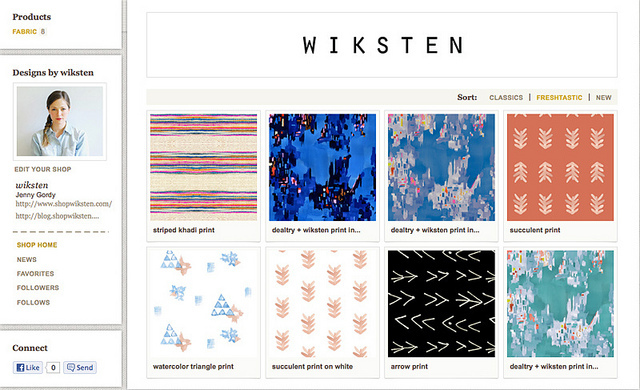 Woking Girl Designs: wiksten + dealtry fabric available on spoonflower! wiksten + dealtry fabric available on spoonflower! Now you can buy all her prints, including the Dealtry+wiksten collaboration, over at Spoonflower! Get sewing!